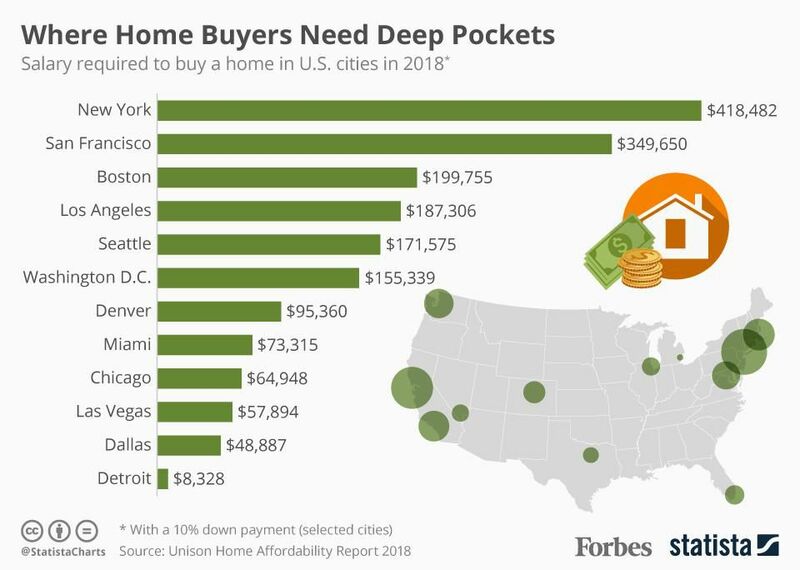 For young people saving up to buy a home in major U.S. cities, the prospect of finally owning a house or apartment is becoming a very distant dream. A new report from Unison has found that it’s becoming more costly than ever to purchase a home with large coastal cities hit the hardest. Indeed, nearly all major U.S. cities have seen home prices increase over the past decade and in some like San Francisco and Seattle, they have skyrocketed 10 percent year-over-year. As well as those soaring prices, student loan debt is also causing a headache for young would-be home buyers with the National Association of Realtors reporting that 41 percent of first-time buyers held such debts in 2017.